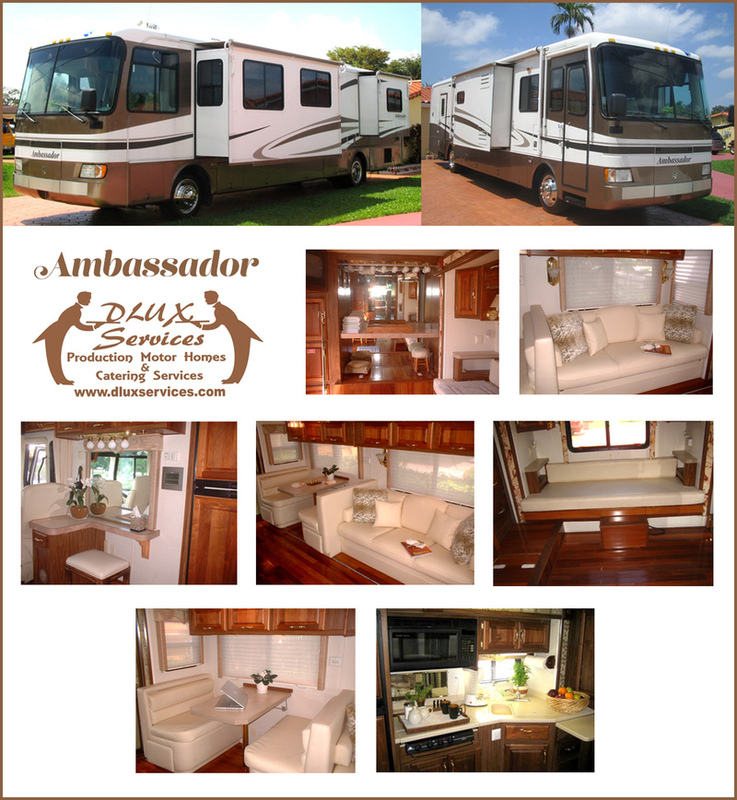 Dlux Services delivers unparalleled quality and accommodations with our Production RV Rentals, providing superior comfort and amenities to your talent and stars. 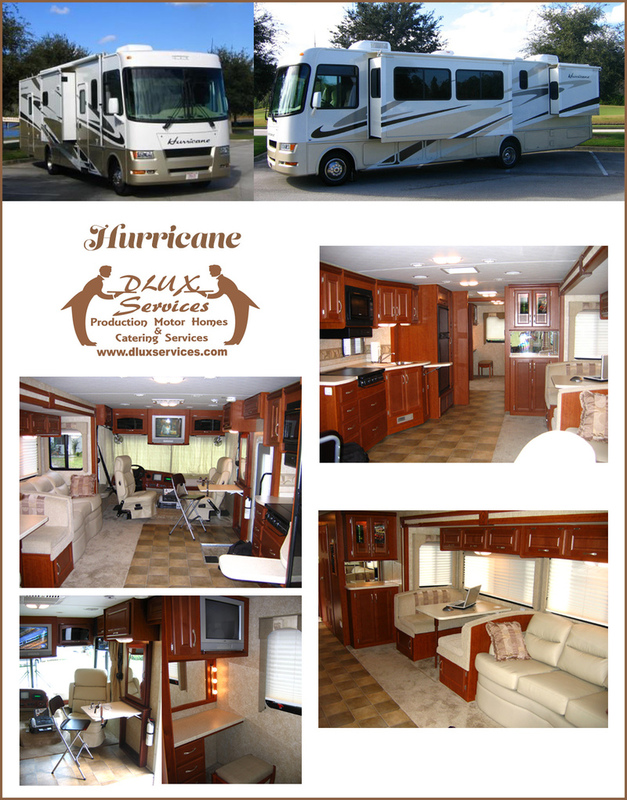 Our RVs are equipped with lit makeup stations and sitting couches along with irons, steamers, extension cords and coolers. Snack and beverage services may be added at an additional cost; this option is separate from our catering services. Our fleet hosts a fine selection of vehicles, among which are the Ambassador, the Hurricane and the Windsport. No matter what your chosen vehicle may be, Dlux Services provides only the utmost comfort and convenience to you and your stars. 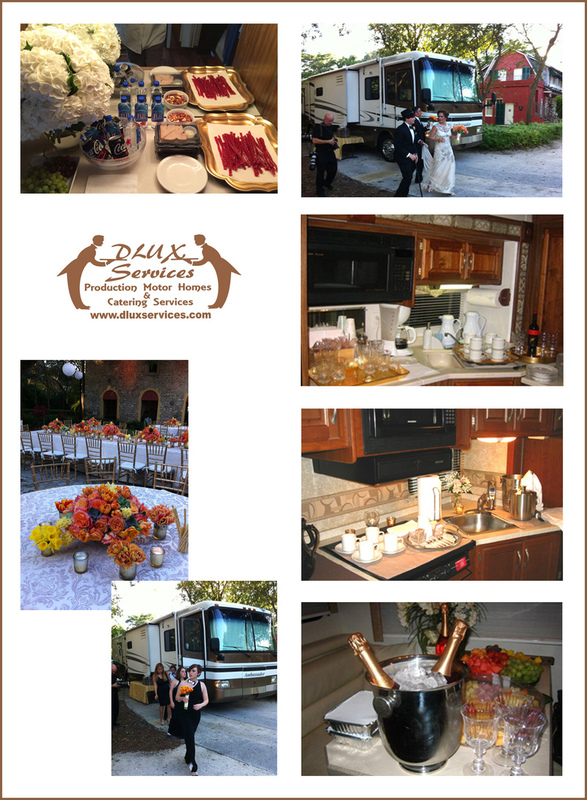 To take advantage of this superior convenience, please contact us at Dlux Services today.